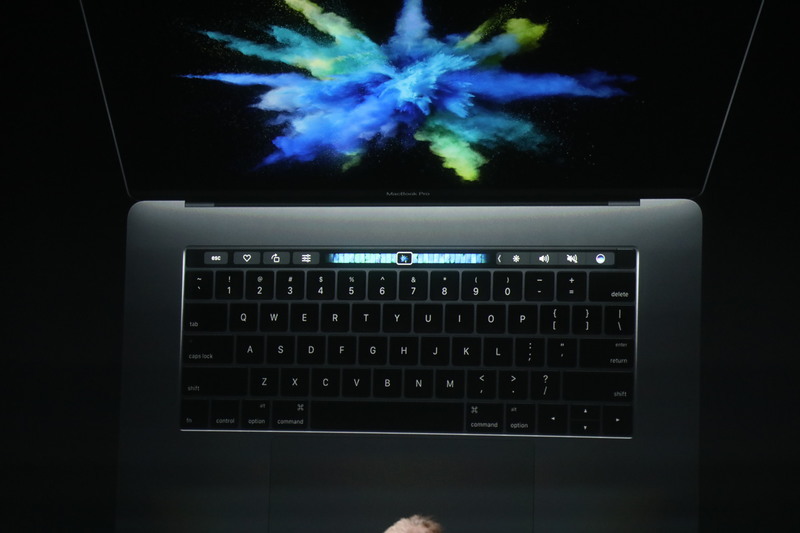 Apple will introduce its newest laptops during an event in Cupertino, California. "This is so exciting. 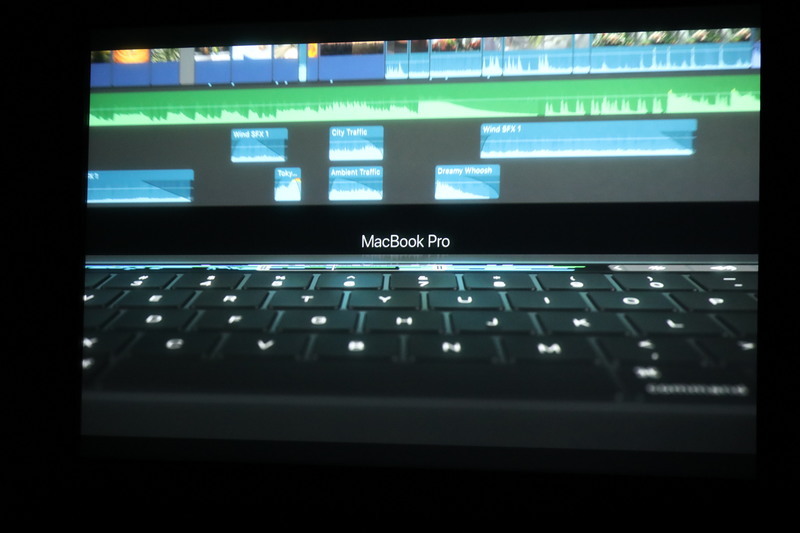 A new generation MacBook Pro, and it is seriously cool." "It has a whole new design made of aluminum. It its metal on all sides. ... This kind of design is only possible with unique collaboration between" different groups in Apple. 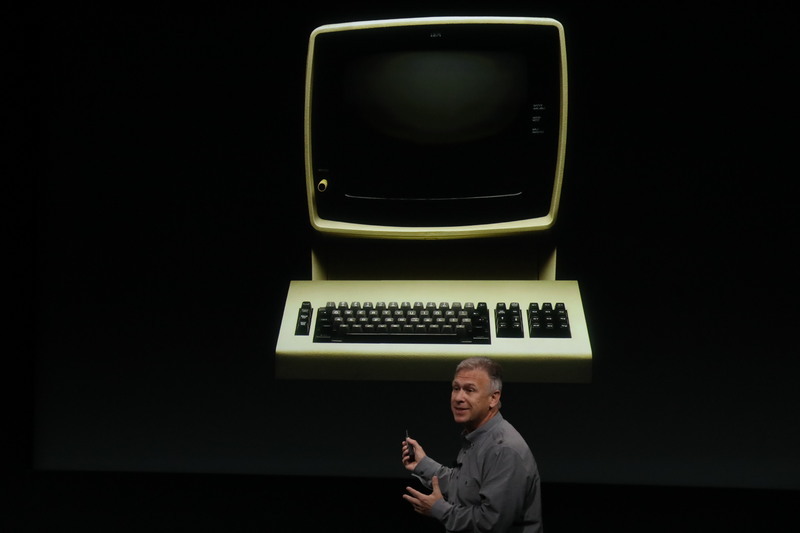 "It is the new gold standard in notebook computers." 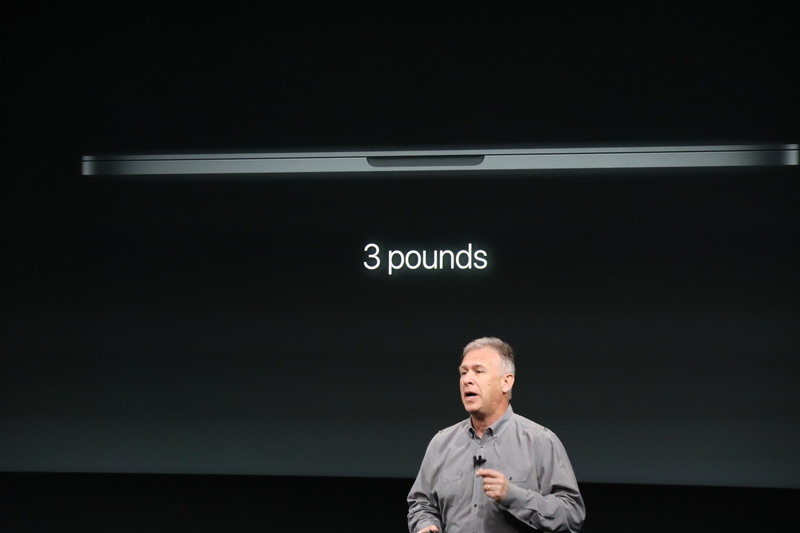 "It is simply the thinnest and lightest MacBook Pro we have ever made." 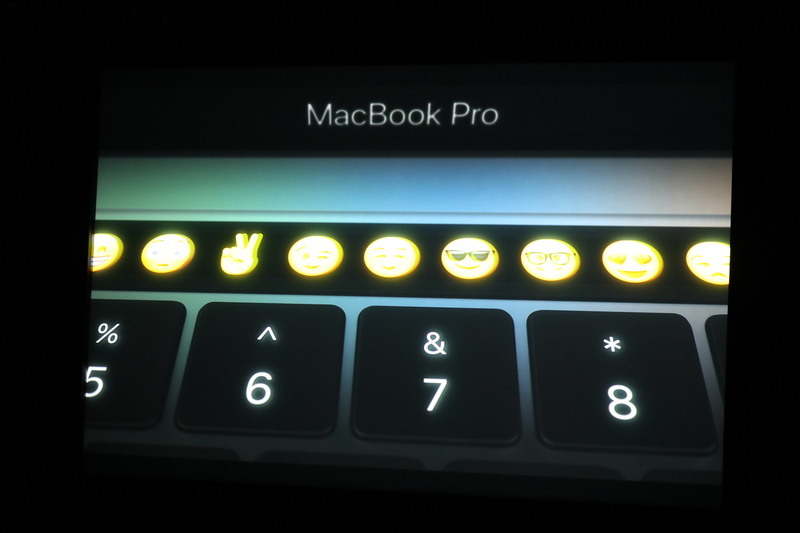 These images make the space grey look very dark and bold -- reminds of the classic black MacBook. And it's smaller too. 23% smaller in volume. Almost a quarter less. "It is an absolutely stunningly beautiful notebook." Everyone is slimming down. 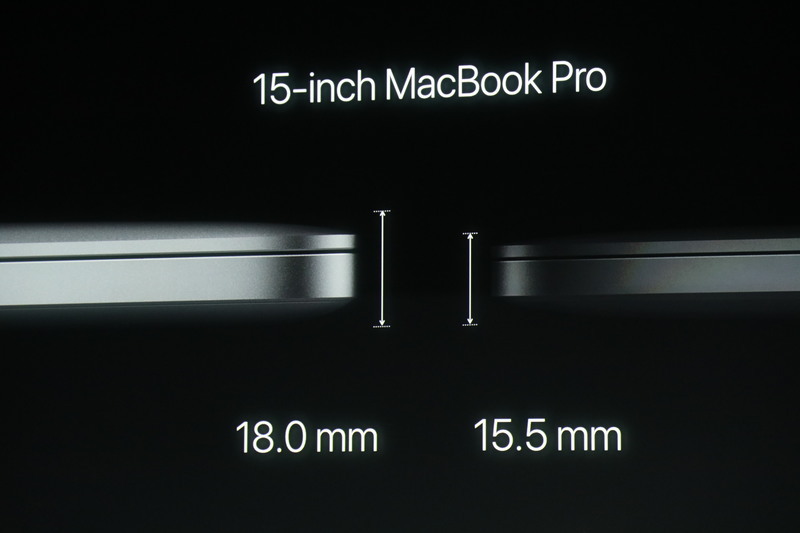 18mm to 14.9mm -- But that's still a far shot from the slimmest high-end Windows laptops, which are diving just under 10mm now. 15 inch. New is 15.5mm versus 18 mm before. 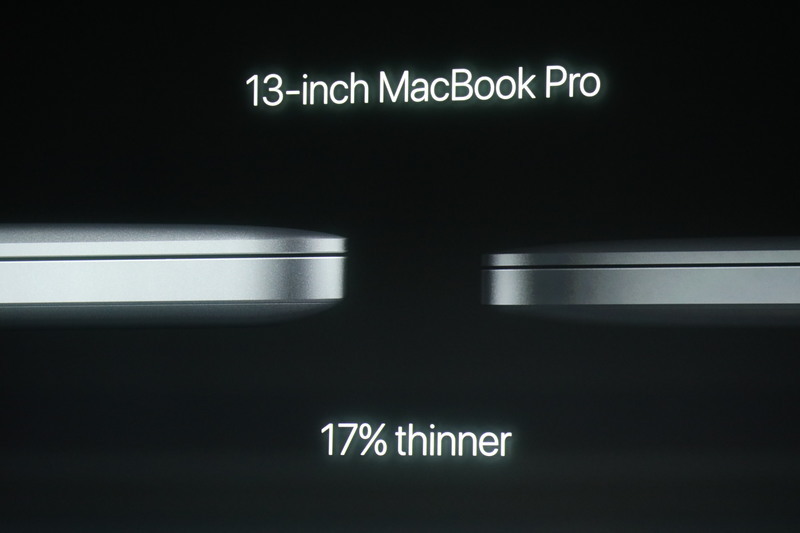 14% thinner. It is smaller as well. 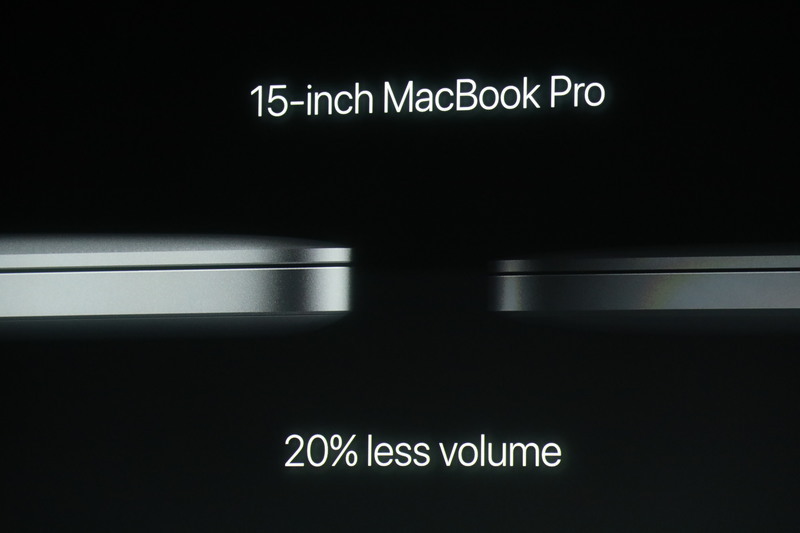 20% smaller in volume than the pervious one. 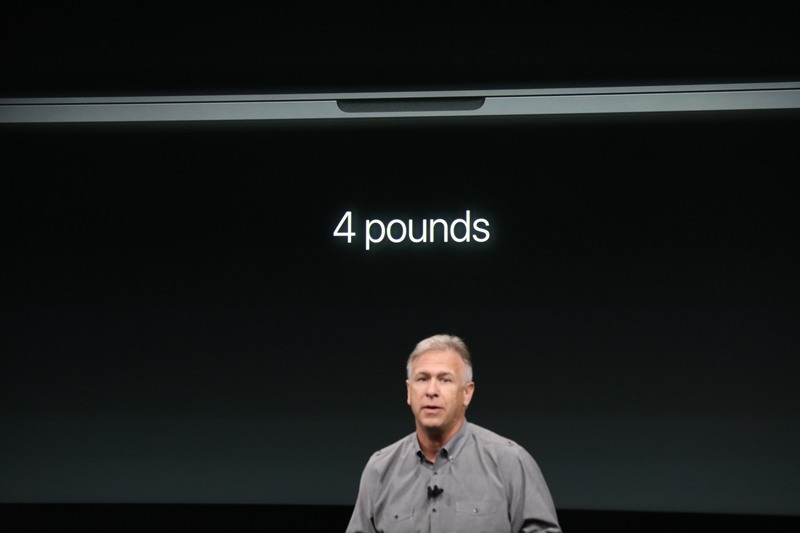 "It weights just 4 pounds, half a pound less." "Four pounds for a high performance professional notebook. That's almost unheard of." Inside "everything is all new"
Still even shaving three mm off a laptop is a pretty big deal. More important, dropping half a pound. 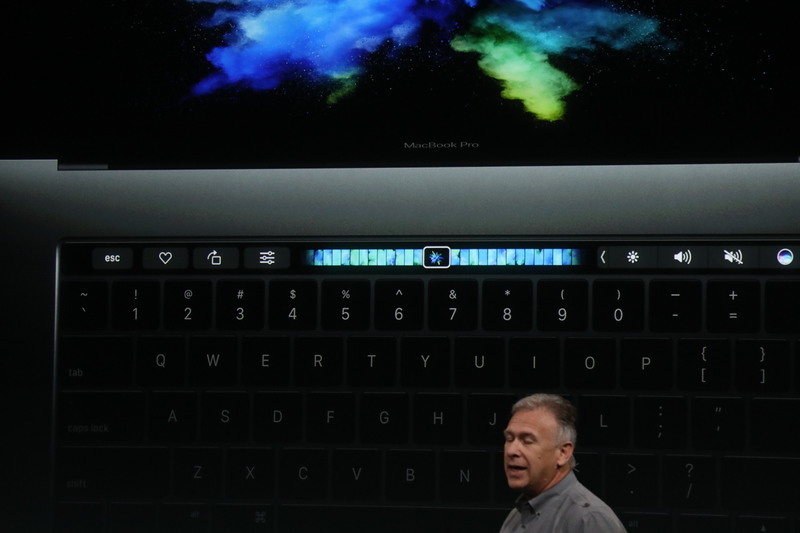 "There's a new trackpad. 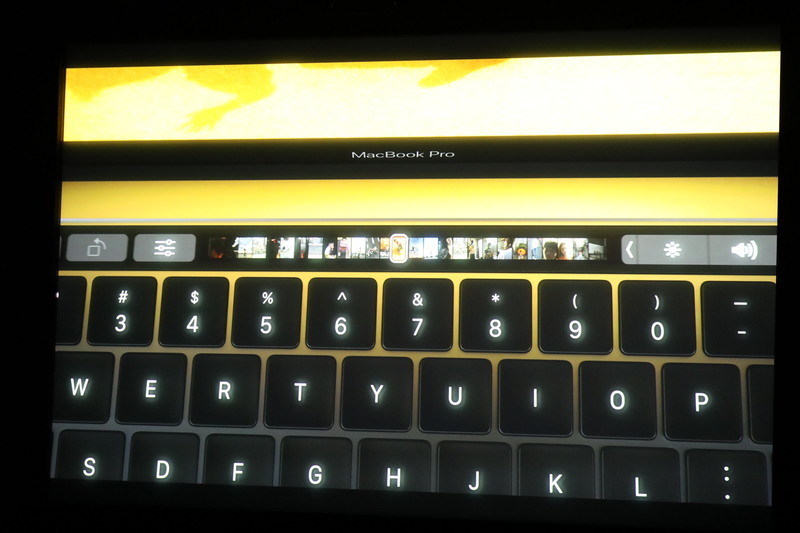 Force Touch trackpad. Twice as big as previous generation." 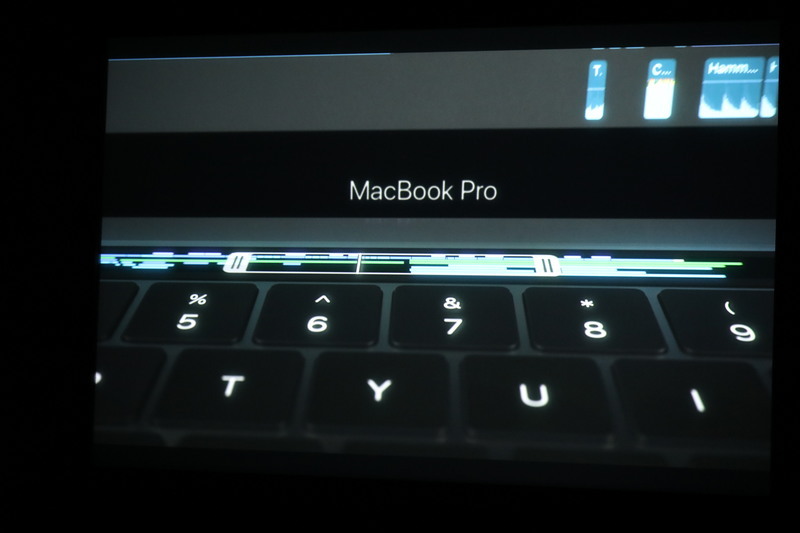 "This is really state of the art and the best trackpad we've ever made." 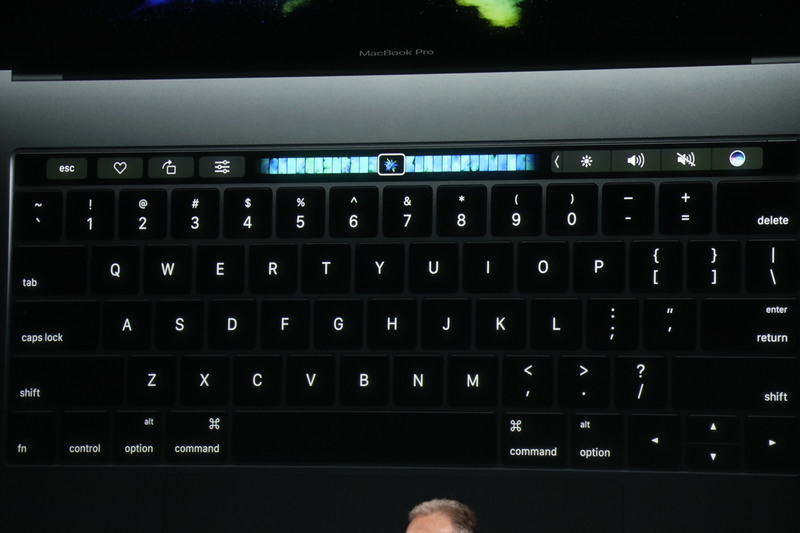 "The keyboard is all new too." 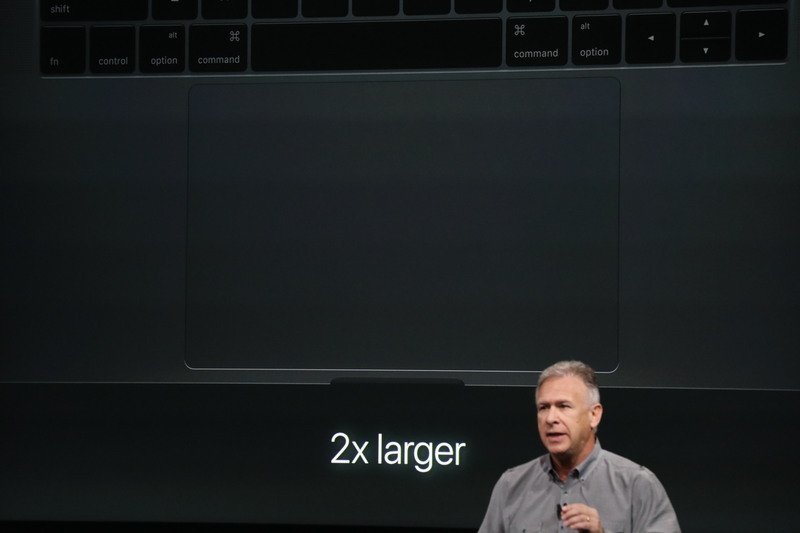 Now, that's a big trackpad. Force Touch is great -- if you didn't know it was there, you would have no idea it wasn't a hinged pad. 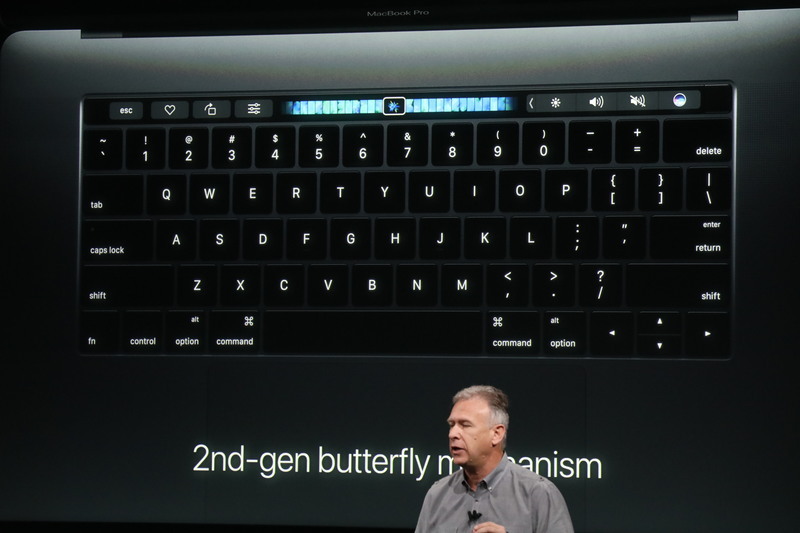 Uses butterfly mechanism keyboard from 12-inch MacBook. This is a second gen of that keyboard. "What our team has done in this area where function keys used to exist is remarkable." 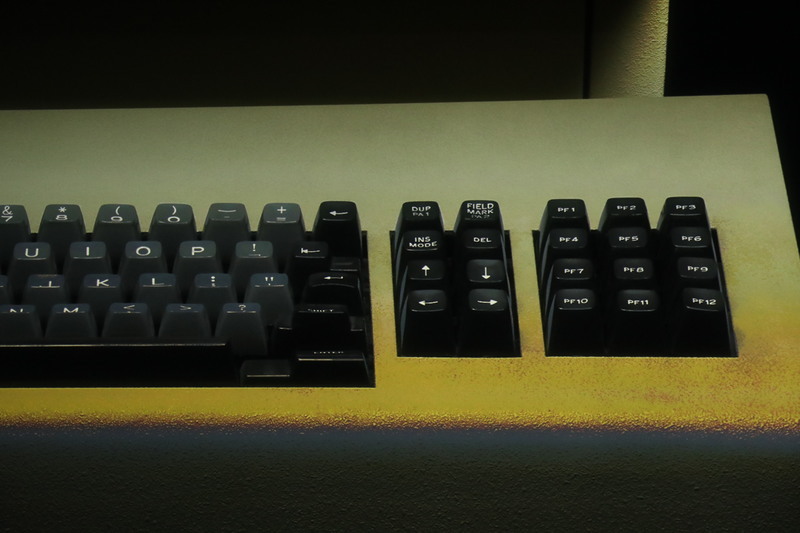 "Requiem for the function key." 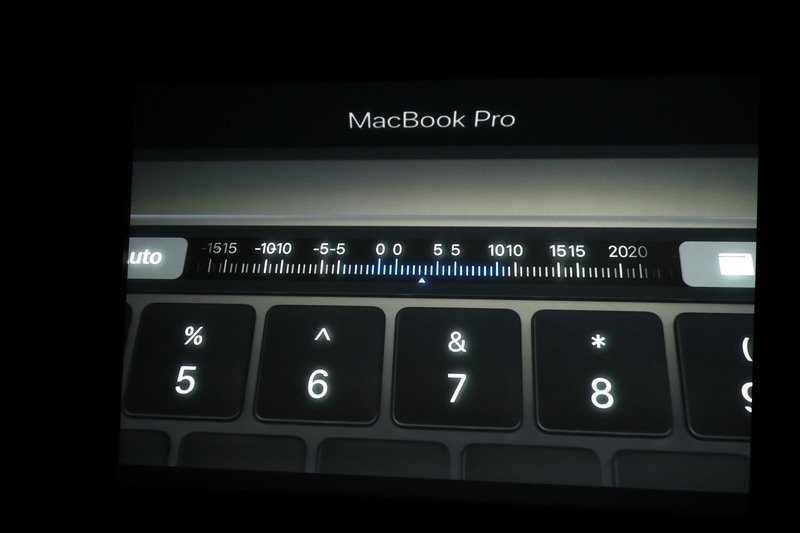 The keyboard, they're kind of jumping past this, looks like the flatter 12-inch MacBook style. Some people are not going to like that. "This is an IBM 3270 mainframe terminal from 1971."